Deep purple color. Aromas of mixed berries in syrup, ripe olive, cherry blossom, vanilla gelato, violet candies, and rose petal confiture with a satiny, dry-yet-fruity medium body and a graceful, captivating, medium-length cherry, sun dried tomato, and green peppercorn finish with medium tannins and moderate oak flavor. A gregarious super Tuscan that calls for Italian night. 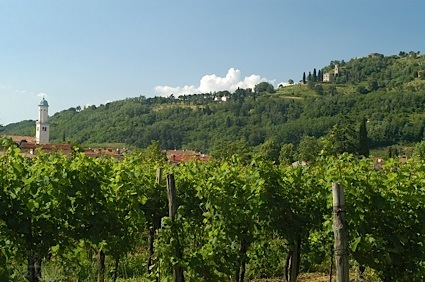 Bottom Line: A gregarious super Tuscan that calls for Italian night. 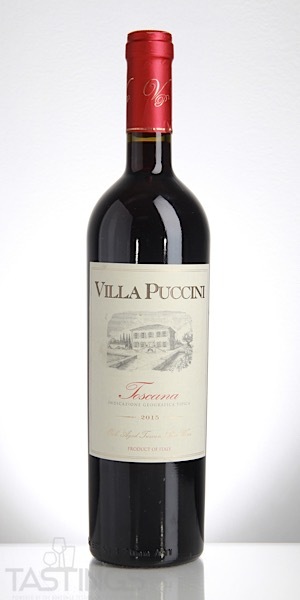 Villa Puccini 2015 Super Tuscan, Toscano IGT rating was calculated by tastings.com to be 89 points out of 100 on 8/29/2018. Please note that MSRP may have changed since the date of our review.